I’ve always wanted to do a cleanse, but the juice cleanses and other packaged kits you can buy have always been outside the range of what I am comfortable paying to effectively purge my system. There is also a part of me that wonders if my desire to do a cleanse is in any way related to the eating disorder that haunted and controlled me during college. When I was at BlogHer last summer I met a woman from Garden of Life, which defines itself as being a company committed to empowering people to attain extraordinary health. As I raise these girls of ours, run a business, and work at my marriage I think that extraordinary health may be slightly out of reach, but I like the idea of a few things that I can have around the house that might keep us a notch above ordinary health. I decided to write to the woman and see if I could request a sample of a product or two and then maybe do a giveaway and review here. All of these things are way outside of what I normally do, so I was a little nervous. Ursula responded to my email quickly. 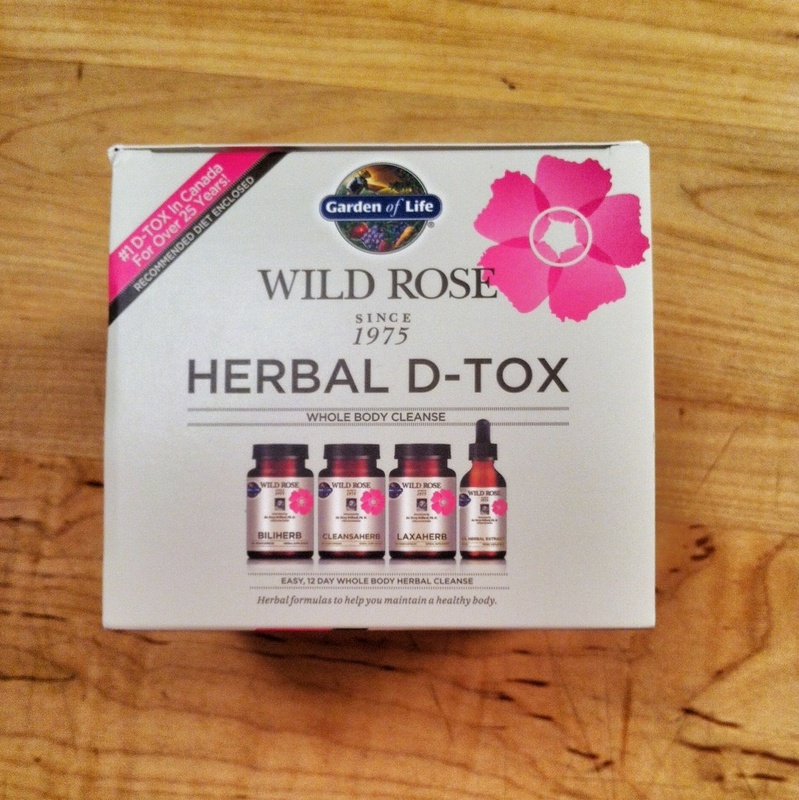 Not two days later there was a box on my stoop with two Wild Rose Herbal D-Tox kits. I was over the moon. I had learned at the conference that Garden of Life does not use GMOs and that they genuinely approach things from a wellness perspective rather than a gimmicky, get-thin-quick, never-be-sick again angle. My worries about eating disorder triggers were allayed because this detox involves food. Yay! I paused and then said, “Can I just wait a little bit longer?” I was disappointed in myself, I’d never let him wait. We agreed that I’d wait a one week and that if it didn’t get better I’d call. That weekend it got worse. I panicked. When I called the Hudson Headwaters office they were amazing. The doctor saw me the same afternoon. We talked about how this had happened back in 2009 and that he wasn’t sure of protocol for follow up. He said that his experience suggested that my symptoms are very in line with Crohn’s Disease or Ulcerative Colitis. My shoulders softened a little, my worry having been that he’d send me to the hospital immediately. He said that he wanted me to get another colonoscopy. I agreed. 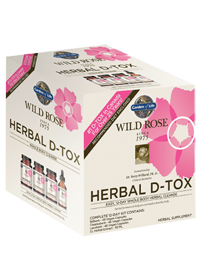 I had been thinking that maybe the detox would be a good thing and could flush the bad stuff out of me. Unfortunately people who are having my types of issues are not supposed to participate in cleanses or detoxes of any kind. I wrote to Ursula and apologized. I felt like a sham requesting products and then not following through. Again, she responded immediately and sounded like a friend. I realize that this is incredibly unorthodox, but I’d like to do the giveaway now. I cannot say that I have reviewed this product, but I can say that it comes from a company with really genuine people. I think it’s a cleanse/detox that you can do quite easily. There is a sweet little booklet that tells you what you can eat. The pills and drops that you take are very straightforward. The book even tells you that if the laxative effects are too strong than you can dial it back. The regimen I am on allows no dialing back, in fact it requires dead sprints to the bathroom, but you have to clench yourself tight as you run or you’ll have runner’s ribbons in your wake. You don’t want runner’s ribbons. You don’t want to know what they are. Just remember this pro-tip, a saturated cotton ball of nail polish remover does wonders as an on-the-fly air freshener. So, as I perch on the pot, cleansing myself so thoroughly that you could probably get a contact cleanse from being near me, please let me give you this much gentler, option. Also, your comments about your own colonoscopies, gastro-distress, or life-long desires to do a cleanse will keep me occupied for the remaining 8 hours of no-food and incomprehensible system emptying I have ahead of me. And to Ursula, I apologize for this extraordinarily strange giveaway. This is the product shot from the official website. Here is its description. This is the product on our kitchen island. These are the little guys you take twice a day. *I was not compensated for this post and in fact there is probably a good chance I deserve to be penalized for it. Leave me a comment. I’ll be sending this D-Tox out to one lucky person who will be chosen at random by one of my daughters. 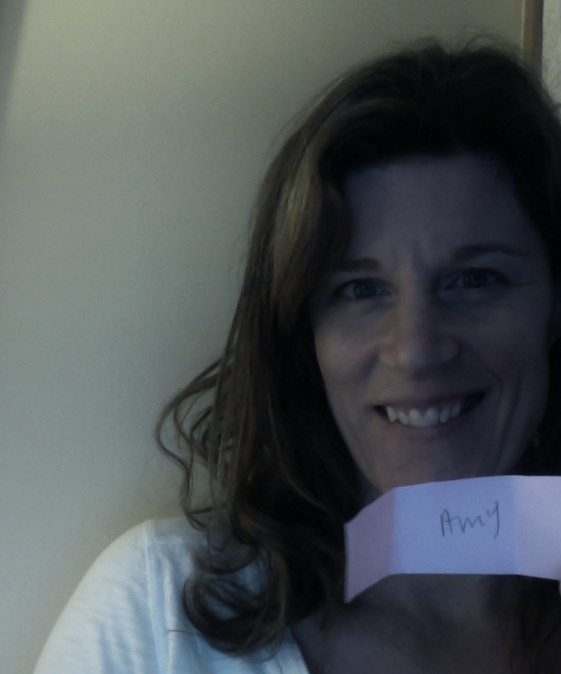 UPDATED: Finley pulled Amy’s name. Here’s the slip which demonstrates how foul my handwriting is and that I stay in pjs on Sundays. Thank you everyone for keeping me company here. Still no results, the doctor is doing biopsy on something. More to come. Oh Amanda! Hang in there…yes, that must sound ridiculous. Hoping you get some good news. Thanks. Sean actually built a great cover for the heater in the bathroom and it hold my mug of non-food perfectly. Yeah, the directions on the procedure prep say, “Plan to have a bathroom or commode very accessible.” Feels like an audition for Dumb and Dumber. I think the D-Tox will be way more civilized. This is the most hilarious give away I’ve ever seen! I LOVE your directness and humor. Oh man, I hope you get some good news today! I just did a whole food cleanse, and really liked the results — it wasn’t anything crazy just a lot of fruits and vegetables, and not a lot of grains, corn, soy, nuts, dairy, wheat, etc.It’s been more than a month (6 weeks?) and while I have been eating wheat and dairy (I just can’t quit them) I still haven’t had much sugar which makes me feel better in life. I’d love to try this one to kick my wheat/dairy habit for good! I’ve always wanted to do a cleanse but am super intimidated by it. Sorry you’re dealing with these health issues. All good thoughts coming your way. Oh Amanda, I hope things go well for you and your diagnosis is easily remedied. Thinking of you, my friend. Blue toes! You are taking multitasking to new levels. 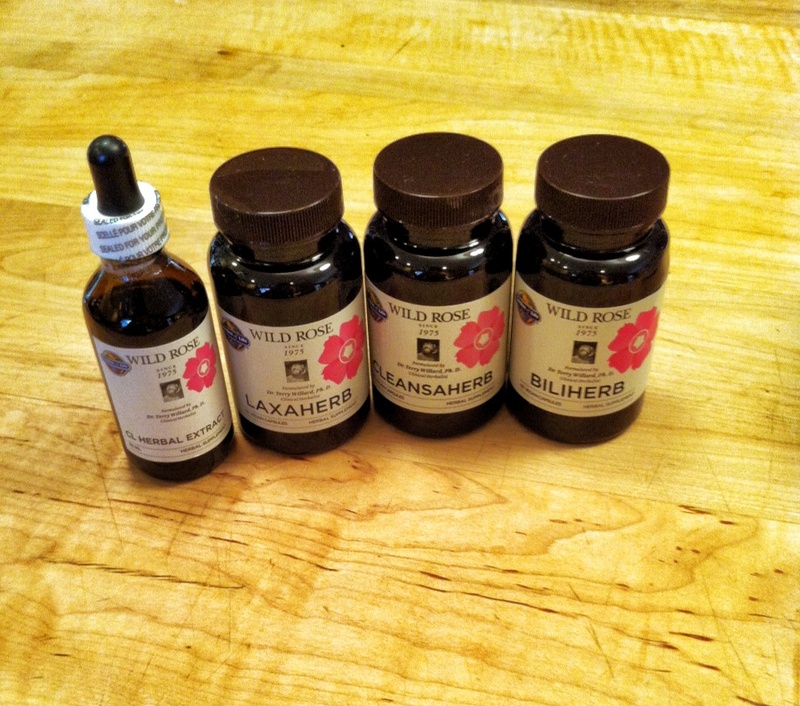 Brendan’s colonoscopy prep still makes us giggle to the point of tear-wet cheeks. Let’s just say that enemas should not be attempted in tiny powder rooms if you are nearly six feet tall. I hope your results are clear. I’d love to try the cleanse! Hang in there mama !!! Good luck with the test. It is good to hear you are connected with folks who may be able to help, if needed. Oh been there, done that!